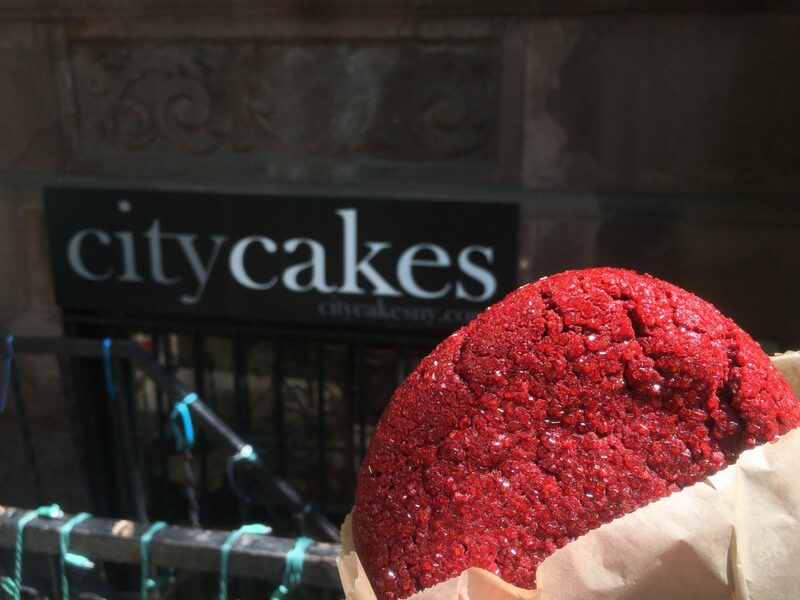 Thanks to Instagram I discovered City Cakes and their MASSIVE cookies last summer. I made it my mission to get myself one of their half-pound cookies as soon possible. One day, I headed downtown to 18th Street and actually walked past the City Cakes storefront. I hadn’t realized that the popular store was located in the basement, but they do have a sign out front making it easier for people walking by to spot them (I just missed it because of course I did). 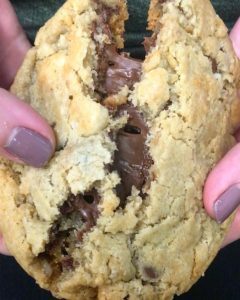 A couple weeks later I found out that City Cakes had a new creation, the “Macamochip Nutella-Filled” half-pound cookie. I immediately had to find a reason to be in the area. So once again I found myself at City Cakes, grabbing a warm and huge nutella-filled cookie. It’s been described as “the best cookie in NYC”, and I would have to agree! City Cakes isn’t only known for their massive cookies. The bakery also creates custom designed cakes, cupcakes, frosting-topped cookies and ice cream sandwiches. They’re also always baking up new creations for holidays, special causes and celebrations. For example, my next stop into City Cakes has got to be for their limited edition “Pumpkindoodle Pie Filled” half-pound cookie. From every sale of this cookie, $2 will be donated to relief efforts in Puerto Rico. Another reason why I love this bakery so much is because of the staff. The staff at City Cakes is always so nice and happy to chat about whatever it may be. Having staff working that actually likes being there and wants to interact with customers always makes an eating experience better. So, if you’re in the market for a tasty treat in Manhattan, look no further than City Cakes. The best part about them is that you’ll almost always have leftovers!